Do you want to feel more “in control” when it comes your child’s academic journey? As a parent, have you experienced some difficulty in navigating the educational system? Maybe you need some guidance in knowing what to ask for and creating a plan of action as your child progresses through school. All parents want what’s best for their children; especially academic success. Many know they that they want to be more involved but don’t really have the direction or knowledge to do so. Or maybe you find yourself at the other end of spectrum; fully involved but not gaining any positive results. 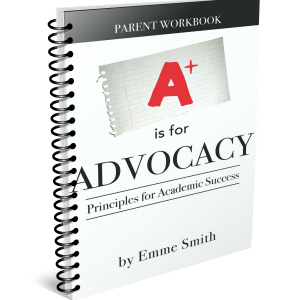 A is for Advocacy outlines five practical and effective strategies to let your voice be heard in determining your child’s academic future. 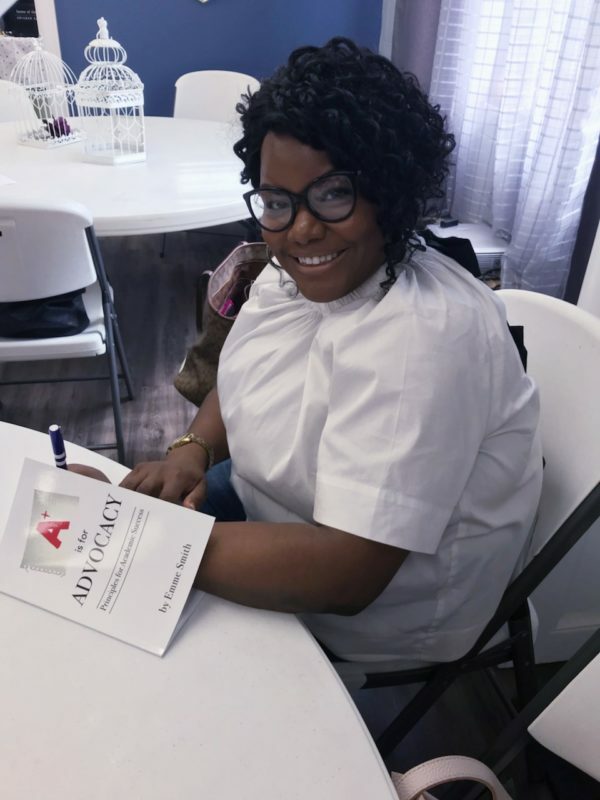 After working through the chapters of this book, you’ll be equipped and confident enough to have a seat at the table and gain results. Emme brings her unique perspective from both sides of the table, serving as a high school counselor and as a parent to a special needs son. Her down to earth style is sure to draw you in and power to forward. The act of advocating does not have to be complicated. It simply involves showing up. Be intentional about showing up and letting your voice be heard!